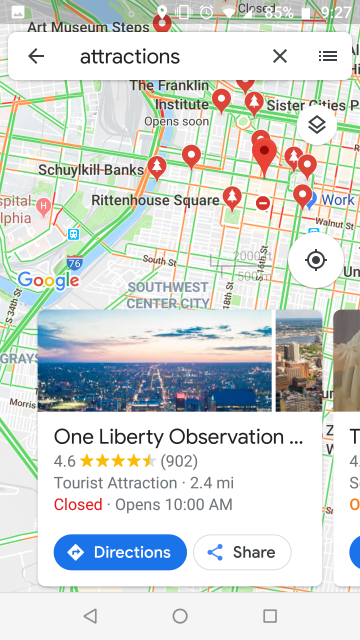 Google Maps has a new button that says “attractions”. I clicked it to see what attractions were near me. It just does a canned search for “attractions”. But there must be some sort of metadata, because the canned search has found the Liberty Place observation deck, very nice. 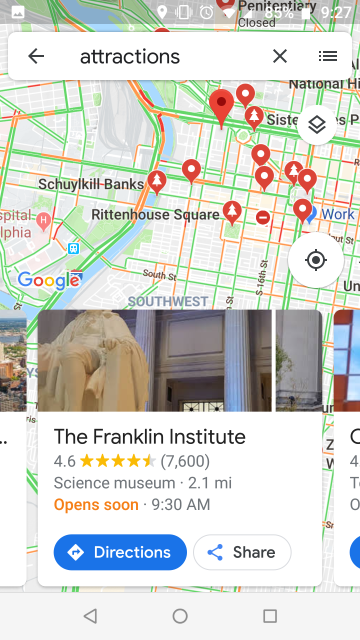 Also it found the Franklin Institute, home of the Benjamin Franklin national memorial. 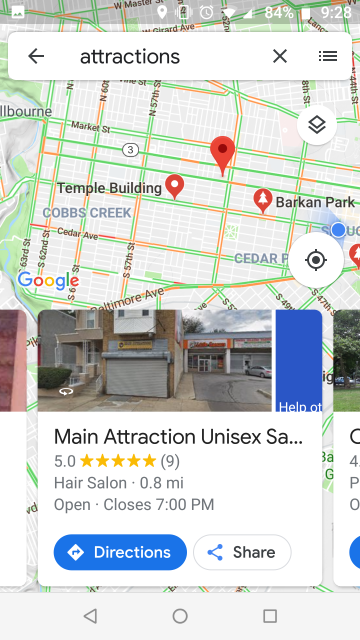 And of course it also found this barber shop that happens to have “Attraction” in its name.